This new restaurant was carefully designed to give the client a sense of premium quality and relaxation. The lighting was subtle and designed to create the feeling of intimacy, yet appear light and airy. 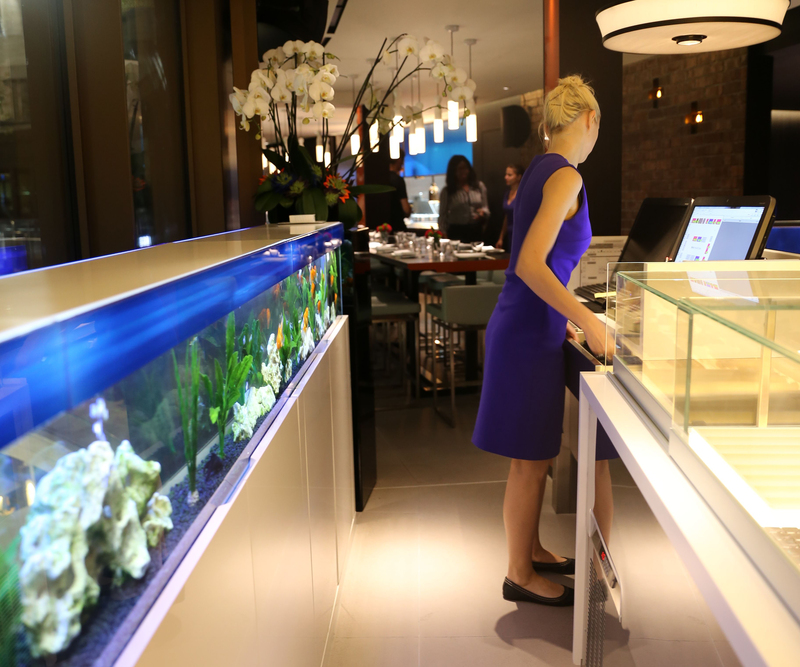 Brief: To provide bespoke blue lighting for the glass handrail and decorative tanks. These had to complement the general lighting and not stand out, yet still enhance the decorative features. 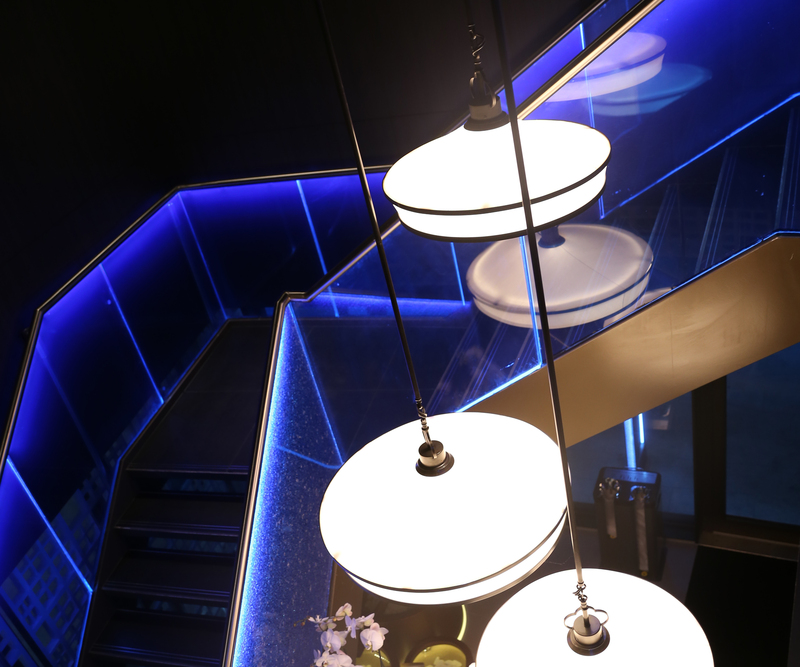 Solution: We supplied LightLine Mini Slim made to order lighting, fitted with blue LEDs, that were high in number but reduced in power to give an even glow and subtle effects required.